Disclaimer: This was a collaboration with Creativiu, the opinions are my own. 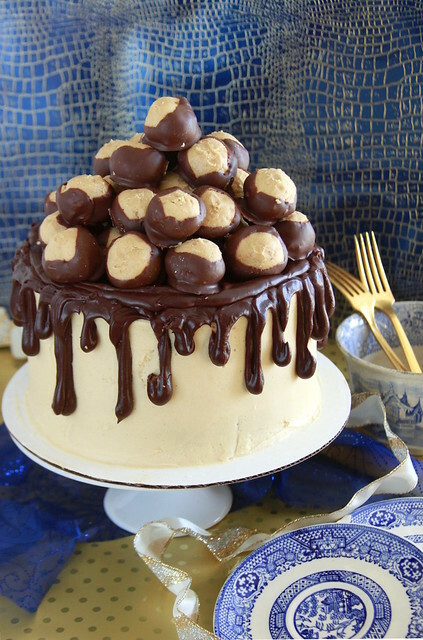 This Peanut Butter Ball Cake is a show stopper! 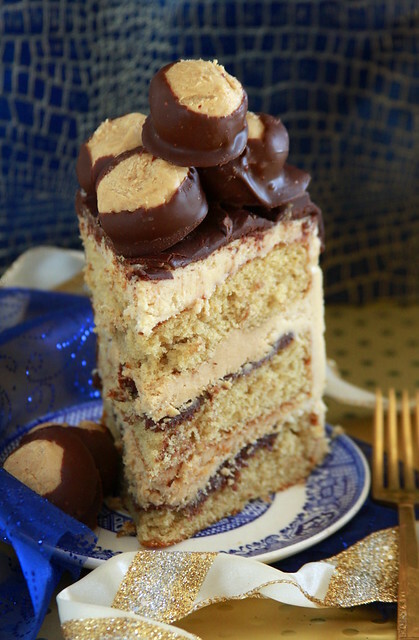 The cake is comprised of a gorgeously delicate and tender peanut butter cake, layers of melted chocolate, fluffy peanut butter filling, and an even fluffier peanut butter frosting. What is it about truffles and candy balls that just scream holiday? I never precisely understood it. Maybe because mini bite-sized treats are both easy and fancy, but I’m just guessing here. 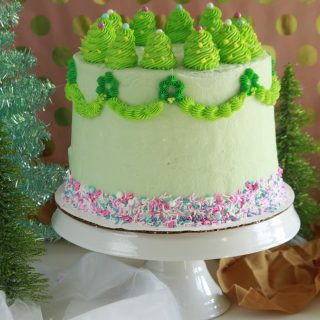 For me, nothing screams holiday better than a beautifully adorned layer cake. Similar to Creativiu cake recipes and cake decorating lead to immense creativity. Balance is not just in painting in crafting, but in taste as well. Most people think cakes are one note—sweet upon sweet upon sweet. But cakes shouldn’t be painfully sweet. Yes it is a dessert, but like any good plate of food there needs to be a balance with flavors and texture. You’ll see me use cream cheese for many of my frosting recipes because it brings a much needed tartness that wouldn’t be possible with a traditional American buttercream. When I devise recipes, I’m always combing through the ingredients. Is there something to play down sweetness? Is there salt? Is there moisture? Is there crunch? Like any good project, cakes require a finished image in mind. 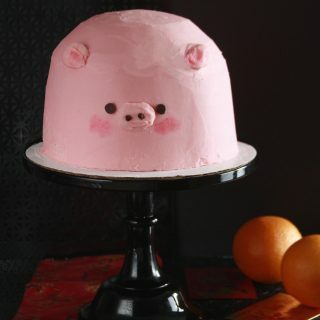 At Creativiu’s Cake Decoration Page you’ll find good resources for essential baking techniques and cake decorating ideas. Having articles like this in one place is perfect to creating a beautiful and tasty cake project! Don’t over think cake decorating! When I’m devising a cake, sometimes I have a set decorating idea in my mind. Other times I gradually develop a decorating idea while baking and assembling a cake. If you’re in a pinch (heck I’ve needed to bake cakes in a days notice), I’ve learned that simple and clean always triumph. Classical borders and a smooth finish leave a lasting, professional impression upon clients. Edible garnishes always go over well too! 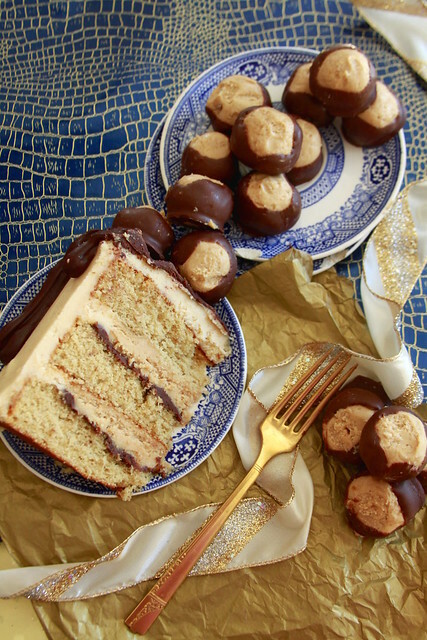 Here with this Peanut Butter Ball Cake, these peanut butter balls act as the decorative topper. It’s two desserts in one! With cake decorating, a controlled level of overboard is dramatic. The more, the better. Overdoing a theme gets the point across. These buckeyes look like an impressive tower on par with a croquembouche. Never be afraid to play with height. 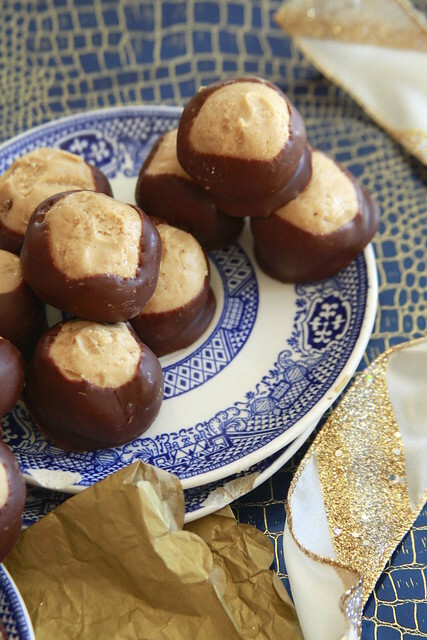 These peanut butter balls are easy to stack and stay in place. I guess I’m going with a theme of holiday truffle-ball treats. 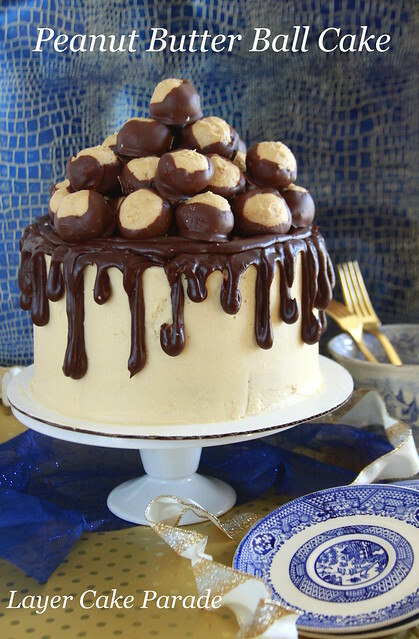 Last week I did a Bourbon Ball inspired cake and this week I’m doing a Peanut Butter Ball Cake. 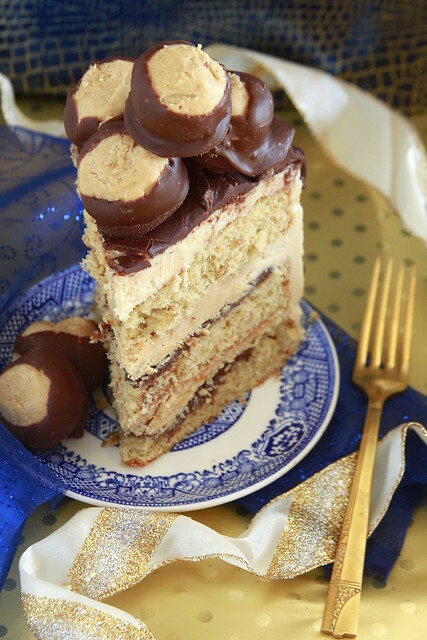 I was tempted to call these candies Buckeyes, after the Ohio based treat, but Peanut Butter Ball Cake was more in tune to the holiday season. Peanut butter is balanced by butter and oil to make the cake crumb nutty, tender, and moist. I believe that peanut butter in cakes gets a bad reputation. Many recipes are dry, heavy, and demand several glasses of milk. 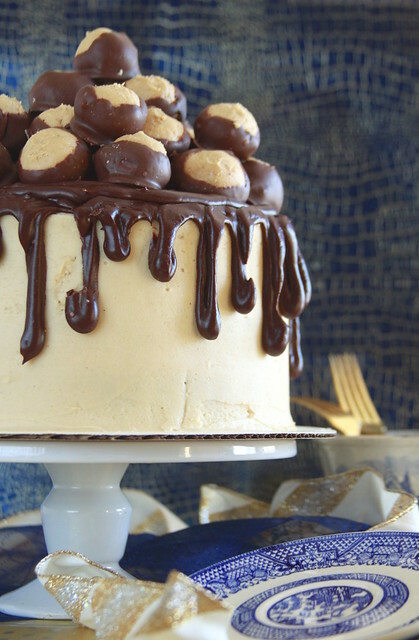 When done right, peanut butter cakes are just as moist as any vanilla or chocolate cake. In fact, peanut butter cakes are perfect for those people who don’t like desserts. The salt and warm nutty flavors from the peanuts perfectly subdue any unpleasant sweetness. In short cake creativity doesn’t have to be full of fancy fondant and gum paste work. 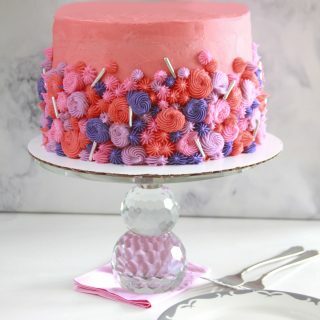 Decorating with edible (never over sweetened) frosting and garnishes makes for an enjoyable cake. 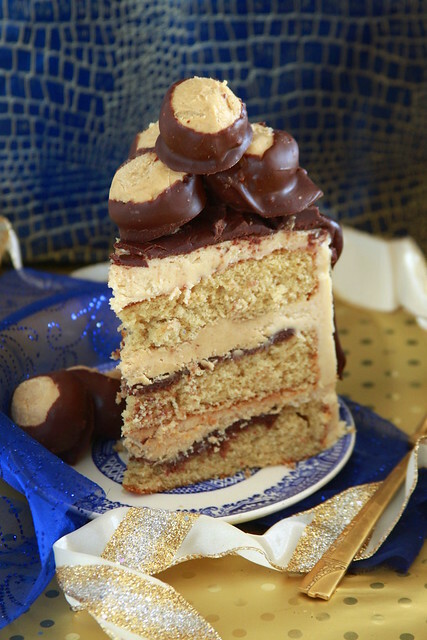 The Peanut Butter Ball Cake is a perfect two-in-one dessert! Beat butter in the bowl of a stand mixer fitted with a paddle attachment until smooth and lump free. Add the peanut butter, vanilla, and salt. Beat to combine, scraping the sides and bottom of the bowl as needed. With the mixer on low, gradually add the powdered sugar. It should have the texture of a wet cookie dough. Shape into 1-inch balls and refrigerate for at least 2 hours. Melt chocolate chips and shortening in a microwave safe bowl, stirring every 20 to 30 seconds until smooth and melted. Use a toothpick to dip the peanut butter balls ¾ of the way into melted chocolate, leaving the top exposed. Let excess drip off and place onto cookie sheet. Remove toothpick and smooth over hole. Repeat the process and refrigerate the balls until completely firm. In the bowl of a stand mixer, beat butter until smooth and pale in color, about 1 minute. Scrape the bowl down and add oil, peanut butter, and sugars, beating until smooth and lump free. Beat in eggs, one at a time, mixing well after each addition. Add in vanilla. With the mixer on low, add the dry ingredients in 3 batches and the buttermilk in 2 batches, beginning and ending with the dry ingredients. Give the batter a few folds with a rubber spatula. Divide the batter evenly between prepared pans and bake for 25 to 30 minutes, rotating halfway. A toothpick inserted should come out mostly clean with a few crumbs. Immediately invert the cakes onto a wire rack to cool completely. Refrigerate the cakes until you're ready to assemble. Melt the peanut butter chips and ¼ cup of the heavy cream in 30-second intervals, stirring between each interval until smooth. Mix peanut butter into the melted chip-cream mixture. Let cool about 5 to 10 minutes. Fit the stand mixer with the whisk attachment and whip the remaining 1 cup heavy cream until soft peaks form. 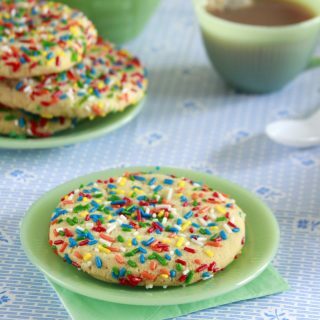 Turn mixer speed down to low and sprinkle in powdered sugar and vanilla. Raise speed and whip until stiff peaks form. Fold the whipped cream into the cooled peanut butter mixture. Cover a refrigerate until ready to assemble. In the bowl of a sand mixer fitted with a paddle attachment, beat butter and cream cheese on a medium speed until smooth and lump free, frequently scraping the sides and bottom of the down, about 3 minutes. With the mixer on low, add vanilla, salt, and powdered sugar, beating until smooth. While the cake chills, make the chocolate ganache. Place the chocolate in a medium bowl; set aside. In a microwave safe measuring cup, heat the cream until it bubble around the edges, about 1 to 2 minutes. Pour the warm cream over the chopped chocolate and let sit for 2 minutes. Whisk from the center outward, gradually stir from the center outward until the ganache is completely smooth. Set aside to cool, whisking occasionally, until it has thickened slightly, yet still a pour-able consistency. In a microwave safe bowl, melt the chocolate and heavy cream in 30-second intervals, stirring frequently until melted. Let it cool for 5 minutes. Use a serrated knife to level off the cake layers. With an offset spatula spread the melted chocolate over two of the three cake layers. Let the chocolate set up onto the cakes at room temperature, about 30 minutes. Fill a pastry bag with some of the Perfect peanut Butter Frosting. Secure the first chocolate covered cake layer to a cake board with some frosting. Pipe a moat of frosting on the perimeter of the cake. Spoon in the Fluffy Peanut Butter Filling, top with the second chocolate covered cake layer and repeat the process. Top cake with final third layer. Give cake a dirty crumb coat, chill for 15 minutes. Frost cake with a final thicker frosting layer. Chill for a final 15 minutes. Use a pasty bag to control the chocolate drips down the sides of the cake, use an offset spatula to smooth the chocolate onto the top. Garnish cake with Peanut Butter Balls.